*Actual On Road Price of Honda CB Shine at the dealership may vary. The 2017 Honda CB Shine gets BS IV engine and auto headlamp on Mechanically, it remains the same. CB Shine is a 125cc commuter bike and according to the Japanese manufacturer, it is a bike that is built for performance and efficiency. Though a bit understated in its looks, it does come with graphics on the fuel tank giving it a distinct style. The bike is powered by a 124.7cc single cylinder air-cooled Honda Eco Technology (HET) engine which manages to churn out 10.16bhp and 10.30Nm of torque. Up front and at the rear, 2017 CB Shine also gets two new metallic colours in Athletic Blue and Imperial Red. Also, there are styling updates which include a chrome cover for the exhaust, a chrome cover for the carburettor and 3D emblem graphics on the fuel tank, adding a touch of premium-ness to the motorcycle. New Honda CB Shine will be available in three variants which will be the drum brake variant, the disc brake variant and the disc brake with Combi-Braking System (CBS). We believe there will be a marginal increase in the prices. The CB Shine was first launched in 2006 and went to become India's largest selling 125cc motorcycle by FY 2008-09. It is one of the most important products for HMSI as the 125cc segment in India has only a handful of motorcycles. 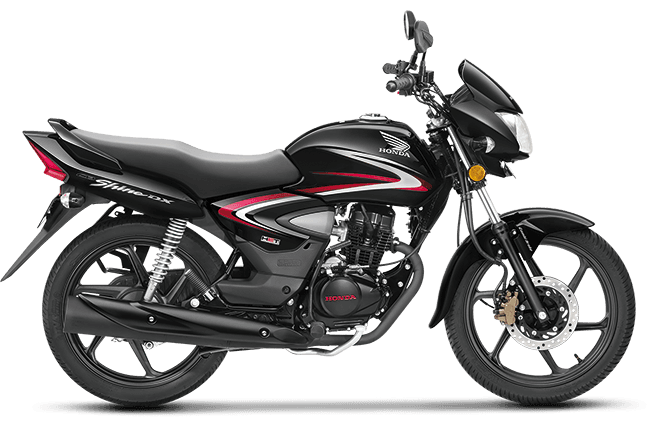 For the FY 2014-15, the CB Shine had a 36 per cent market share in the 125cc segment in India. Honda Motorcycle and Scooter India (HMSI) today announced that its popular 125 cc commuter bike, Honda CB Shine's sales have recently crossed the 70 lakh mark. Honda Motorcycle and Scooter India Pvt. Ltd. achieved a new milestone as the sales of the CB Shine motorcycle crossed 1 lakh in just one month. Within 3months got wiring defect no self start working .no proper suspension and over heating , if any one wants to buy think twice.